The owner Ed very helpful and easily available for guests needs . It felt like home away from home a very relaxing and peaceful property.First class stay all mod cons but the history of the property still very much part of it all. Ed was lovely really made it welcoming and relaxing will definitely be coming back. The apartment is well laid out with all the facilities you could need. Ed helped with arranging parking and also gave us some tips where to visit and eat out. The high street, pier and beach are all within a few minutes walk. I would highly recommend and we are likely to be visiting again. All round great service. Good view too. Highly recommended. Ed and his wife were very welcoming. The accommodation was spotless with beautiful decor. The location was excellent a few minutes stroll into Southend for shopping, restaurants, the pier was directly opposite. The amusements were across the road, could not have asked for better. The apartment has self catering facilities which is an added bonus. My family and l had a fabulous time staying there for the May bank holiday and we shall definitely return again soon. Thank you. Lovely clean airy apartment overlooking the pier. Well located and good facilities. The host was very accommodating. Hotel in perfect location and carpark very cheap to use, close by and convenient. Wonderful views from the apartment. Very quiet. Lock in a great price for Pier View Self Catering Luxury Apartments – rated 9.5 by recent guests! Pier View Self Catering Luxury Apartments This rating is a reflection of how the property compares to the industry standard when it comes to price, facilities and services available. It's based on a self-evaluation by the property. Use this rating to help choose your stay! 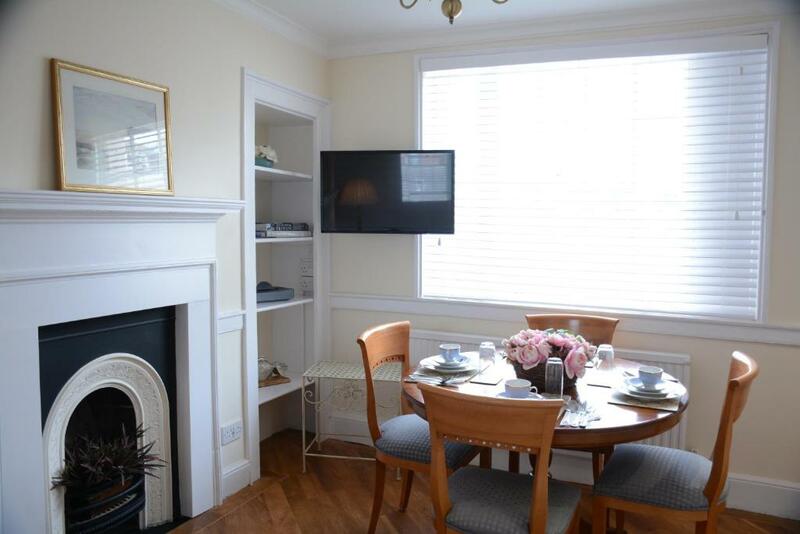 In central Southend, with spectacular views of the pier and estuary, these boutique self-catering luxury apartments offer free high-speed WiFi, 32-inch LCD televisions, a Blu-ray player, a music system and a kitchen and a dining area. 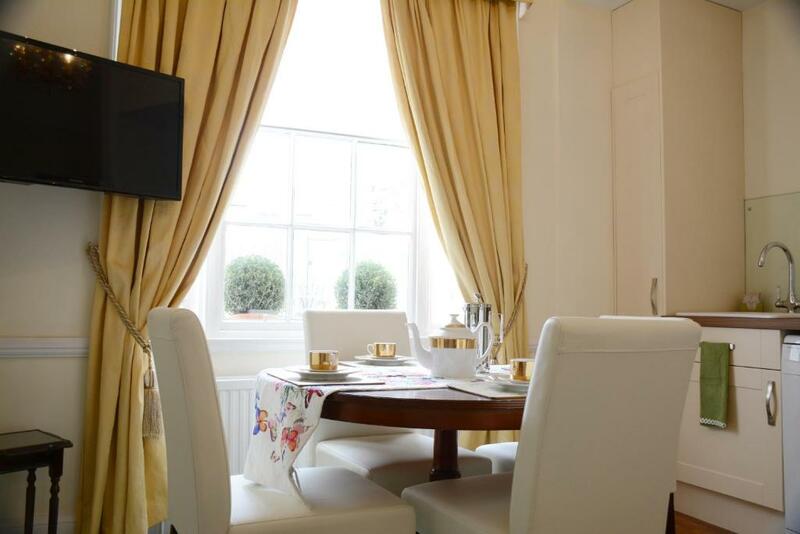 The apartments are set in a historical Georgian building, which retains its ambiance and historic character alongside modern features and comforts. Pier View Self Catering Luxury Apartments are in a protected area a short walk from the beach. 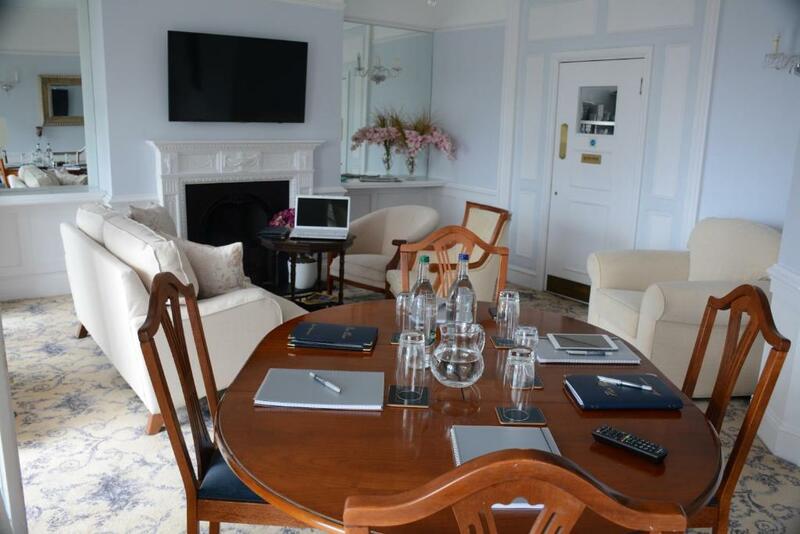 The property has a beautiful communal lounge with fantastic views of the pier. There is also a laundry room with a washer/dryer for guests to use free of charge. 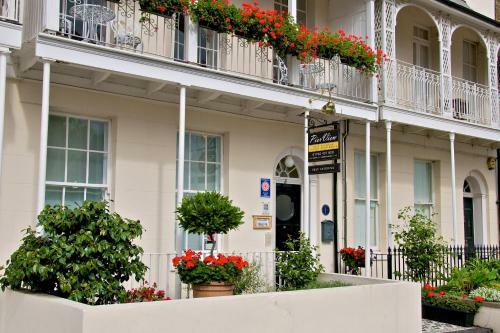 The family-run apartments are located next to the high street and a 5-minute walk from Southend Central Train Station, with direct services to London. Central Bus Station is also 5 minutes away. The A127 and M25 motorways are easy to access, as is Southend Airport, less than 15 minutes' drive away. This property also has one of the top-rated locations in Southend-on-Sea! Guests are happier about it compared to other properties in the area. This property is also rated for the best value in Southend-on-Sea! Guests are getting more for their money when compared to other properties in this city. When would you like to stay at Pier View Self Catering Luxury Apartments? This apartment has a double bed and a bathroom with bath with hand shower. In the lounge there is a double sofa bed a sound system and a 32-inch TV. The mini kitchen has an induction hob and a fridge with ice box. This self catering apartment is located in the basement area. There is natural daylight in both rooms. 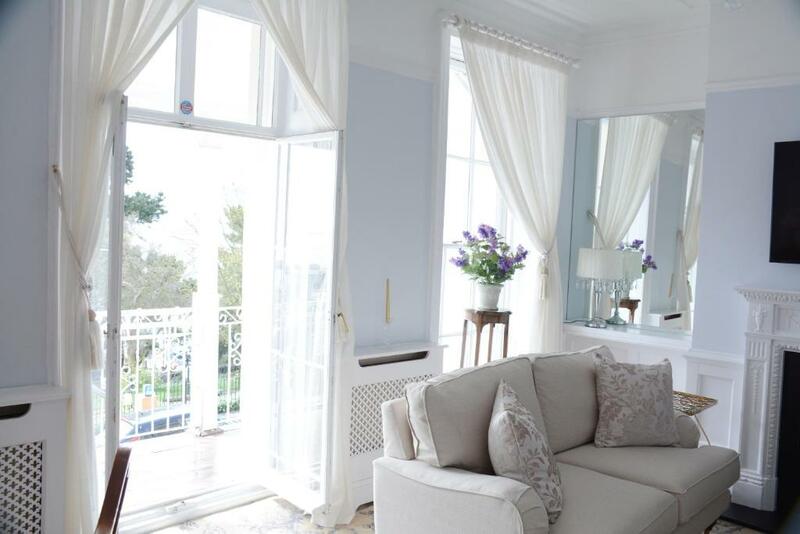 This apartment is located on the ground floor for easy access, and has views over the Royal Terrace. Featuring original Georgian fireplaces, the room also has a Super King size bed (can be split into twin beds) and an en suite shower room. The lounge has a sofa bed, sound system and a 32-inch TV. 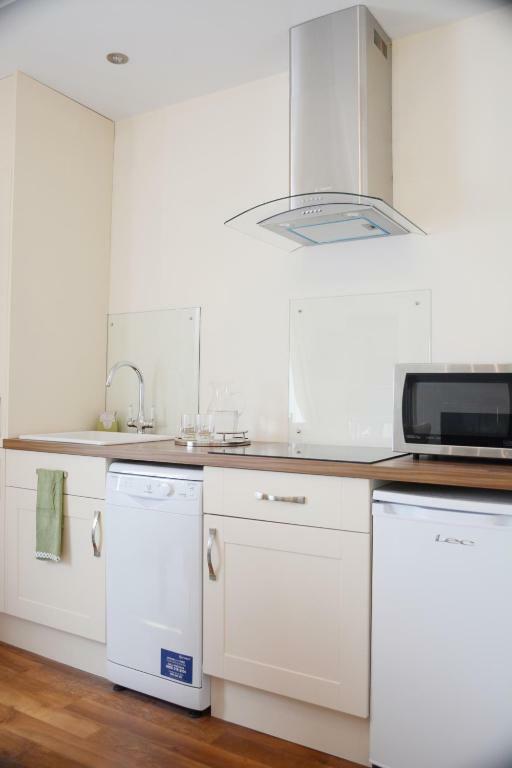 The well-equipped kitchen features an induction hob, a dishwasher and a fridge with icebox. This beautiful apartment has a bedroom that enjoys a 3 window sea view over the famous Pier. The bedroom has a super king-size bed (which can be split in to twin beds) and an en suite shower room. The well-equipped kitchen has an induction hob, dishwasher and a fridge with an ice box. The lounge has a sofa bed, a sound system and a 32-inch TV. 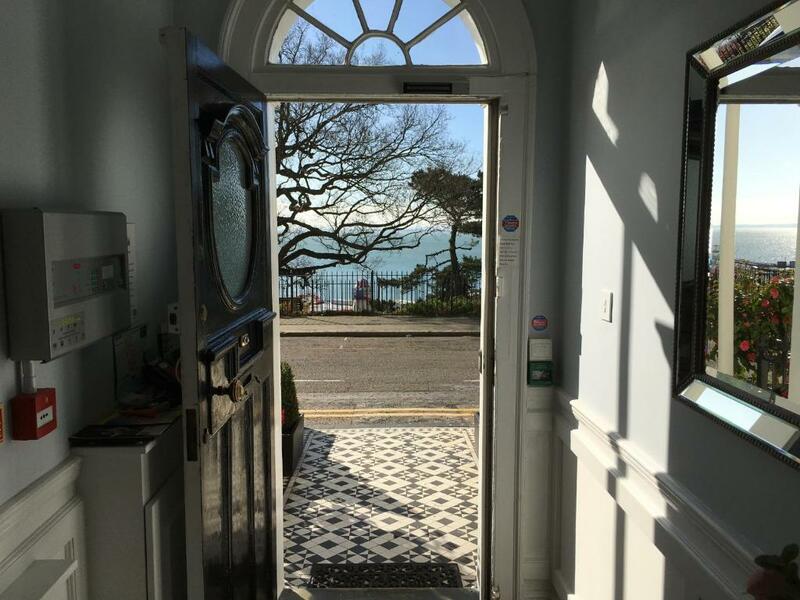 Named after the Pier and property, this self-catering apartment is located at the top of the listed building and enjoys stunning views out towards the famous landmark, the cliffs and the estuary. The apartment has a double room with King-size bed and an en suite shower room, a dining room with panoramic views and a lounge with double sofa, a sound system and a 32-inch TV. The well-equipped kitchen has an induction hob, dishwasher and a fridge with ice box. Kindly note the accommodations is located on the top floor, and is accessible via stairs only. Therefore it may not be suitable for guests with mobility impairment. Ed Findlay has been working in tourism for 27 years, 10 years in Guest Accommodation and has won many awards for service. 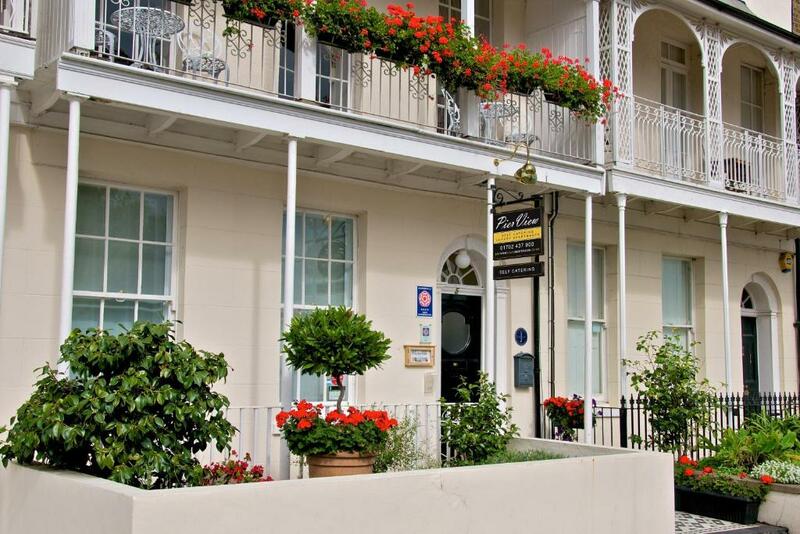 Located in the centre of Southend, next to the high street in the conservation area. The property overlooks the cliffs and the longest pleasure Pier in the world. House Rules Pier View Self Catering Luxury Apartments takes special requests – add in the next step! Pier View Self Catering Luxury Apartments accepts these cards and reserves the right to temporarily hold an amount prior to arrival. Check-in time is from 15:00 (latest check-in 21:00) and check-out time will be from 07:00 until 11:00. Please note there is no elevator at Pier View. The Pier View apartment is accessed by steep stairs. The Lord Nelson apartment is located in the basement area but it has natural daylight in both rooms. When booking for 7 nights or more, different policies and additional costs will/may apply. The property will contact Guests after Booking with further details. Any people under the age of 18 must be accompanied by a person of 21 years or over. Please supply the property with the ages of any children staying. Public parking is available at a location nearby (Royal Terrace) with special reduced rates made directly with Pier View. Subject to availability on arrival. Please note, 24/7 security cameras operate in all communal areas of the building. Please inform Pier View Self Catering Luxury Apartments of your expected arrival time in advance. You can use the Special Requests box when booking, or contact the property directly using the contact details in your confirmation. I liked the beach proximity and the apartment was very welcoming. Great place to stay for a few days. Breakfast, minimum every second day cleaning. Beautiful location. Very helpful .